This week everyone gets to try a variety of our tomatoes. Half shares get a pound of mixed small tomatoes including Velvet Red Cherry Tomatoes, Yellow Pear and Roma tomatoes. We also have more Sheboygan Roma tomatoes and new Wapsipinicon Peach heirloom tomatoes! Full Shares get to try the first of our orange slicers, a Michigan heirloom variety called Kellogg's Breakfast. A great dish to utilize all these various tomatoes is a very simple tomato salad from chef Jamie Oliver. You can also add the cherry and pear tomatoes to our Spaghetti Carbonera recipe. More peppers this week! 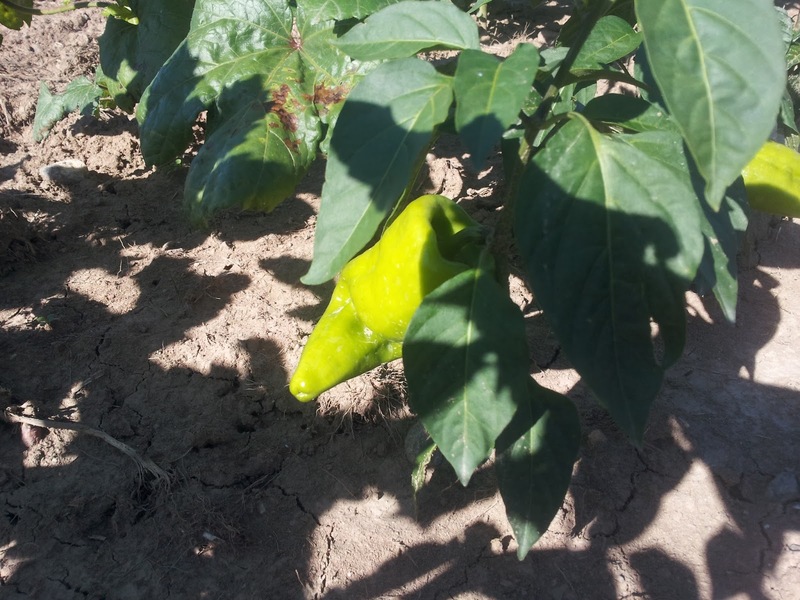 You'll find either jalapeno Poblano, or a beaver dam pepper in your shares this week. We always like to use jalapenos in our salsa or guacamole. But we also experimented with adding diced Okra and Jalapeno to our favorite Cornbread recipe and were delighted by the result! For the poblano pepper, try heating up some macaroni this week with this Green Chile Macaroni recipe. New this week is Okra! A southern favorite, that we are growing to love. We used our okra by dicing it with a jalapeno and adding it to our favorite cornbread mix. Okra can also be grilled, sauteed, fried, stir-fried or added to soup. Some don't like okra because of its sliminess, but try adding an acidic ingredient or cooking it whole to minimize the sliminess. Here are a few recipes to try! More green and purple green beans this week! We like eating them steamed for about 7 minutes with a little butter and salt, but you can also boil them, fry them, or use them in a stir fry or casserole. Check out the easy recipes below for some ideas! More lemon cucumbers this week. Our cucumber crop has been heavy hit by Downy Mildew--which has been particularly bad in the area this year--so this may be our last cucumbers of the season. The weather in early August was perfect for its development, cool and moist, and though we sprayed an organic fungicide called Neem Oil, it was to little avail. We have no recipes for the lemon cucumber, just eat it raw! More Kohlrabi this week! We took a week off from them last week because the heat and lack of rain (it's missed us for near 3 straight weeks) has slowed their development. But they're back and we're glad to hear how much all of our shareholders are liking this odd-looking vegetable! Just peel the skin and bite into it like an apple, or slice it and enjoy with your favorite salad dressing. 1. Start by halving the avocados and removing the seeds, spoon out the green flesh into a medium sized bowl and then mash it with a potato masher, fork, or pastry blender. 2. Dice the pepper, onion and tomato and add to the avocado. 3. Add the seasonings and taste and adjust as you go. 4. 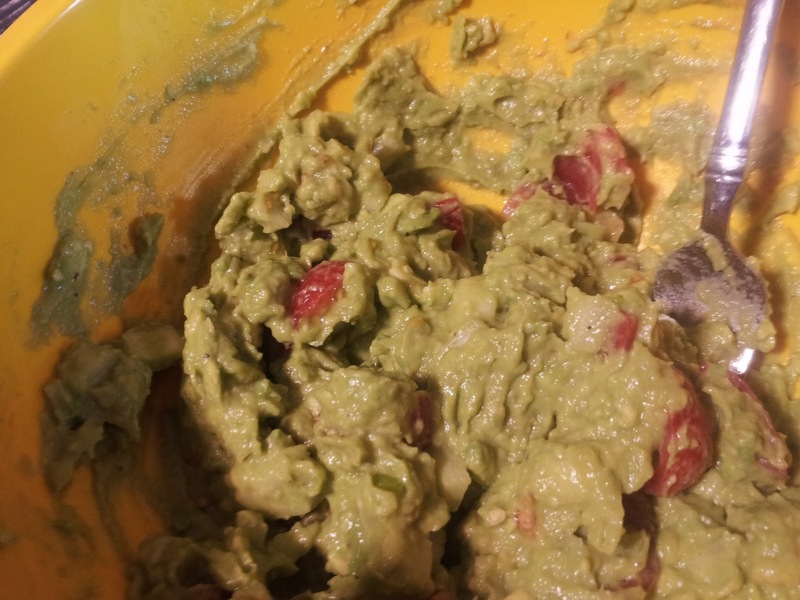 Add a squirt of lime juice, it helps the avocado keep its green color! 5. Serve on hamburgers, sandwiches, or with tortilla chips, enjoy! It's a big week on the farm and the shares have never been more colorful! 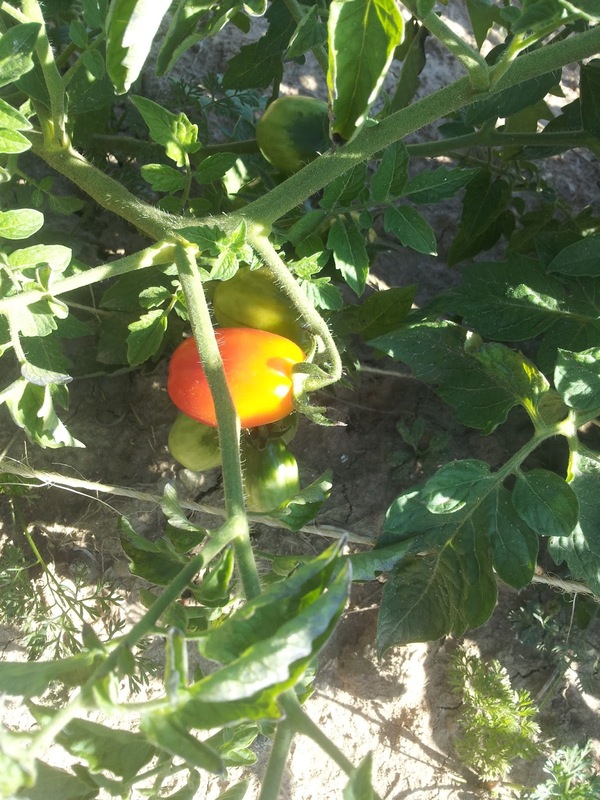 This week brings the first of the tomatoes! Everyone will be receiving a Sheboygan Roma Tomato which is an heirloom variety local to the great lakes. Full shares will also receive one pound of an assortment of Cherry, Yellow Plum and smaller roma tomatoes. We also have apples from our small orchard this week, but since they are organic there may be some minimal bug damage, eat with care or make into pie! The last new arrival this week are our Carrots. We have Kaleidoscope Carrots so there may be some variation in the color of your carrot, don't panic, just eat and enjoy. Our Summer Squash haven't been fairing too well lately, so we only have summer squash for our full shares this week. To fill out the shares we also have Green Onions, Kale, Lemon and Slicing Cucumbers, and Green Beans. 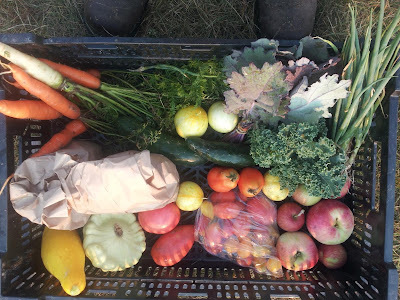 Full share: Apples, 4 Roma tomatoes, 1 lb of assorted small tomatoes (full share only), 2 bunches kale, 2 bunches green onions, 1 lb green beans, 2 summer squash (full share only), large bunch of carrots, 2 slicing cucumbers, 4 lemon cucumbers! We finally are getting ripe tomatoes! The early August cold snap slowed them down a little but they are coming in bulk now. We have an heirloom Roma-type tomato this week for everyone called a Sheboygan Tomato. Roma tomatoes are great all around tomatoes and can be used for sauces, salsas, or slicing. 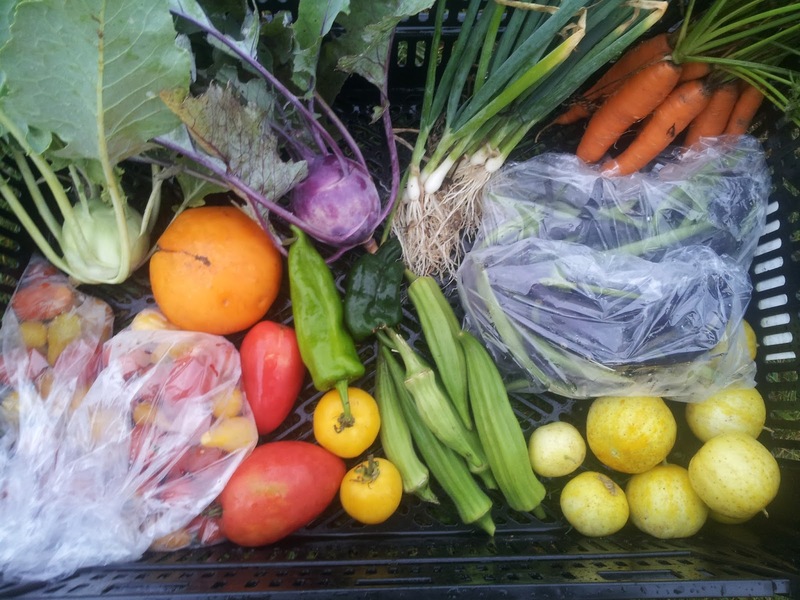 Our full shares will also be receiving a pound of an assortment of our Yellow Plum heirlooms, smaller roma tomatoes, and our heirloom Cherry tomatoes. The smaller tomatoes can be a great addition to many dishes--pizza, frittata, salad, kabobs, we added some to our spaghetti carbonera and loved it! We finally have carrots this week, and Farmer Fahler couldn't help but munch as he harvested and will attest they are the sweetest most delicious carrots he's ever had. We grow a variety called Kaleidoscope carrots which come in a variety of colors including orange, yellow, and purple! So as Douglas Adams teaches us, DON'T PANIC!, just eat and enjoy these guys raw as a snack, shredded or sliced in a salad, or cooked in a soup. We also have some early apples starting to get ready in the orchard. These apples are still a bit tart since they are a little early, but that means they are PERFECT for apple pie. So check out our Sour Cream Apple Pie recipe and prepare to have every other pie for the rest of your life seem, just ok. The summer squash is one of our favorite vegetables and likely many of yours. There are lots of great ways to eat these squash, anything from sautéing, grilling, or you can try our Spaghetti Carbonera with Bacon and Summer Squash. Our Zucchini got badly hit by the Squash Vine Borer, or we didn't get to them for surgery early enough, regardless we've been seeing more of the Scallop Squash in the shares. Here's a great resource for recipes for this variety, try it pan-fried, grilled, steamed, sautéed, baked, roasted or shredded raw! Enjoy the slight melon-like taste of cucumbers in any sandwich. Cucumbers go well with dill, fish, and egg dishes. Try an Egg and Cucumber sandwich, or an old british tea party favorite Cucumber sandwiches. For these sandwiches, the spread can be yogurt, mayonnaise, butter, or cream cheese, try it with a sprig of dill or mint. Perfect for a hot day! We've got loads of lemon squash now so everyone gets to enjoy these awesome heirlooms! Bite into these raw with a little salt, a delicious snack! Kale is a staple on most small, diversified farms like The Shire Farm. And it's one that you will be seeing throughout the season, so try out new ways to cook it until you find a recipe you love! We like to braise it, or saute it and add it to an egg dish, like our Kale and Tomato Frittata. For a simple side, saute it with minced garlic for 2-3 minutes, then season with salt, pepper and red pepper flakes. It is also wonderful baked into chips or added late into a soup! We are getting closer to the peak of garden production, and the shares are growing! We have some new things this week and some more of our summer favorites. We have more green beans this week, and the peppers are going strong and bringing the first peppers of the season. This week we have the first of our hot peppers, our bell peppers are a bit behind but they're getting heavy with fruit! This share also will include more Lemon Cucumbers and slicing cucumbers. There will be less summer squash this week as a result of the abuses of bugs, and diseases like powdery mildew and blossom end-rot. Lastly we have some nice purple-top turnips, more kohlrabi, and some various herbs including italian basil, lemon basil, parsley, onion chives and dill! 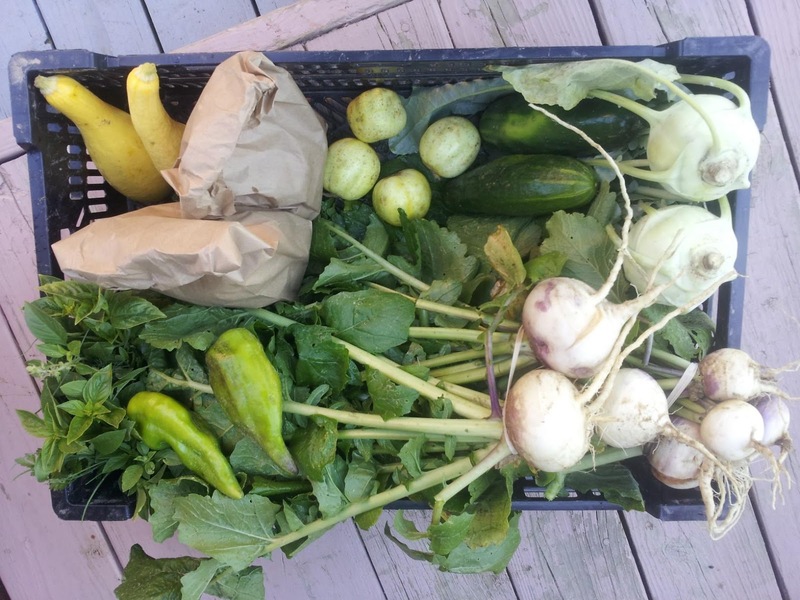 Week 10: Full Share: Purple Top Turnips, Kohlrabi, slicing cucumbers, Lemon cucumbers, green beans, summer squash, hot peppers, and mixed herb bundle! This week we have the first of our peppers. 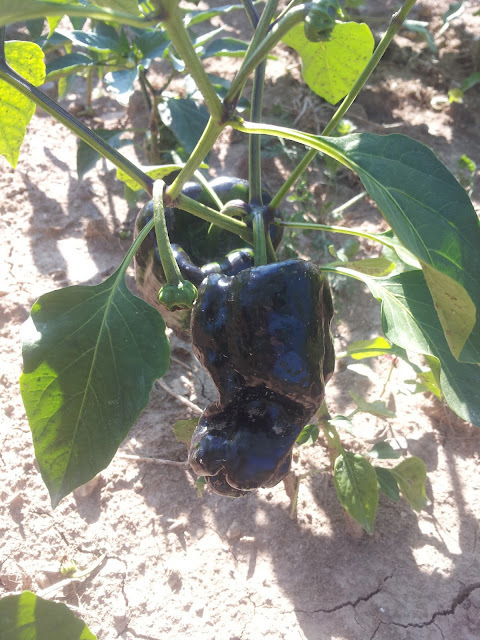 You will either receive a dark green Poblano pepper or the Beaver-Dam Pepper, which is a Hungarian heirloom that was brought to Beaver Dam, Wisconsin in 1912. These peppers have a moderate amount of heat to them, less than a jalapeno but hotter than a bell pepper. Both can be used for a large variety of recipes. We like to use ours to make guacamole, and salsa. The Beaver Dams are especially good cut in thin Later on when we have more you can use these in many mexican dishes, such as Chile Rellenos, or stuffed peppers. You can also use it to spice up any meat, especially good in hamburgers! The Beaver Dam peppers have 500-1000 Scoville rating, about as hot as an anaheim. 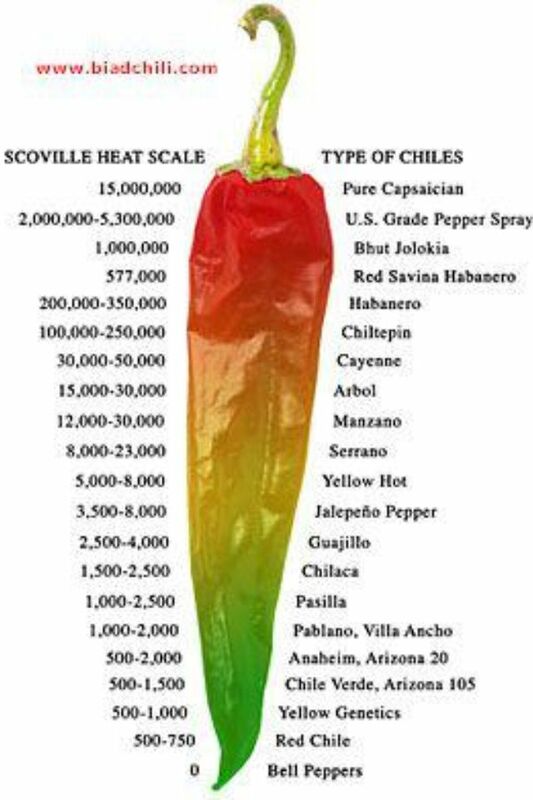 The Poblanos are 1,000-2,000, a bit more hot! Watch out for Jalapenos next week at 3,500-8,000 scovilles! Our first planting of turnips were lost to bug damage, but we're finally getting some of those good roots and will be seeing more this fall! First things first, saute those greens! Saute turnips greens as you would spinach for a healthy quick snack. For best storage, cut off the greens about an inch or two above the roots, you can store them separately in a bag in your vegetable drawer in the fridge for up to 4 days. Store the turnip roots in a separate bag in the fridge for up to one week. As for cooking the roots, Farmer Figgins has always heard that most of the flavor is in the skin, but most recipes call for peeling it off, but you guys make the call. You can substitute turnips for potatoes in most recipes, including our Creamy Fall Vegetable soup, or you can try them mashed like potatoes with chives and bacon! The summer squash is one of our favorite vegetables and likely many of yours. You will be seeing a mix of the varieties we are growing which include your classic Zucchini, Yellow Crookneck squash, or a more interesting Scallop Squash (it looks a bit like a flying saucer). There are lots of great ways to eat these squash, anything from sautéing, grilling, or you can try our recently posted Spaghetti Carbonera with Bacon and Summer Squash. Our Zucchini got badly hit by the Squash Vine Borer, or we didn't get to them for surgery early enough, regardless we've been seeing more of the Scallop Squash in the shares. Here's a great resource for recipes for this variety, try it pan-fried, grilled, steamed, sautéed, baked, roasted or shredded raw! Kohlrabi may be a new vegetable for some of you, but we promise it's one you'll be glad to try! The word Kohlrabi is German for cabbage turnip, and it can be eaten raw or cooked. We usually eat them raw, just peel off the skin and slice them like an apple and sprinkle with a little salt or dip in your favorite dressing and enjoy! They're also great raw on a salad, or roasted, or baked. Popular in Indian food, in dishes like Kohlrabi Curry. Our first Parsley of the season! Green Parsley can be used as a garnish on potato dishes, on rice dishes, fish, fried chicken, steak, meat or vegetable stews. It's a great source of antioxidants, Vitammin K, C, and A. We like to use it in soups, for our Whole Roasted Chicken and in making our own stock. Check out this Spice Chart to see more pairing ideas. We've got more and larger bunches or Lemon Basil this week. Lemon Basil is a basil variety from northeastern Africa and southern Asia. It goes really well with seafood dishes, but also with pasta and chicken dishes. Finely chop this basil and add it to some shredded or julienne vegetables and pasta, topping it with olive oil for a fresh and healthy meal. We also like to add it to our Spaghetti Carbonera recipe! Genovese Basil is our favorite of the Italian Basil varieties, with large leaves and an amazing flavor. Our favorite Basil dish is Bruschetta, a kind of Italian salsa on slices of Italian or French bread. Another easy way to use this herb and enjoy the early tomatoes of the season is with a Caprese Salad. Just a slice of Mozzarella, Tomato, and a basil leaf with a balsamic vinaigrette drizzled on it. Mmm, can't wait for our own tomatoes! We'll have extra basil at Farmer's Markets as well, for anyone interested in making their own pesto! This last week has been a busy one here in the Shire. We've had a lot of changes with the animals, and some nice developments in the garden. Firstly, we are all finished with the Cornish-X meat chickens. Thank goodness. The birds get to be a bit of a chore after dragging their large pen on a daily basis for almost 2 months, in addition to the water and feed hauling for them. We had a shareholder help us with processing and they brought the family and were a huge help in taking care of the 70 birds. As always on the Shire nothing can go too easily, and the large bucket plucker that was brought for the chore, which we were looking forward to for speeding up the process, was not quite up to the chore. The motor didn't have enough torque so we ended up having to pluck chickens one at a time with a drill attachment. So to those of you who got an unexpected look at a chicken processing operation, we're sorry, we expected to be done earlier. We do still have some chickens available for purchase, they are frozen at this point, but still delicious and are priced at $3.50/lb. We also said goodbye to our rooster Priscilla on the chicken processing day. Much as we want to breed our own Easter Eggers with Priscilla, his aggression toward us made it no longer worth the effort. He often stalked us when we'd enter the chicken run or go inside the coop to collect eggs and refill feed and water. Too many times we were charged and winged, and he was just starting to develop his spurs. We gave him a few months, hoping he'd settle down, but it didn't like that was going to happen. That and he crowed constantly, regardless of sunrise and sunset. So now Priscilla is in our freezer, waiting for the next chicken pot pie. Bye bye Priscilla! Secondly, we have been arranging Rosie to be bred so that we will have a calf in spring and finally have our grass-powered-milk-machine (also known as a cow) up and running. We originally were thinking to have her Artificially Inseminated, or AI'd, but due to costs involved and a fortunate find of a local Dexter Cattle raiser, will be sending Rosie on a 6 week sexcation at Shamrock Acres Dexter Cattle where she will be bred to their dexter bull. We chose to breed her back to a Dexter bull to produce a smaller more efficient calf. Rosie a Jersey Cow, is capable of producing 3-5 gallons a day or more, which is more than we need, and will supplement our hog feed next year substantially. Jersey steers are also notoriously slow growing which makes it hard for a small farm like ourselves to feed out a beef calf. Dexters are dual purpose breeds, for milk and meat, and are known for having the best feed efficiency. So, whether we have a boy or girl calf next spring we feel a dexter makes a lot more sense as it will not require the same feed inputs as a jersey steer, or overwhelm us with too much milk. We've also had lots of adventures with the pigs. We have had some minor injuries as the pigs found a overly effective scratching post in their pasture, and scraped up a couple of their backs. We had to clean up the cuts, and apply a coating of disinfectant spray, called blu-kote. The pigs are doing much better but have big purple spots, or as we've been calling them Purple Pork-a-Dots, on their backs from the spray. The second part of our adventure in pigs this week has been moving them across the whole property to a new pasture. This spring we decided to experiment and plant a small patch of wheat and barley. The good news is they grew well, but the weed's grew as well or better. Next year we will have the land prepped better and utilize the tractor more to take care of those weeds, and have much better results. As a result of the weed overgrowth though we decided to just feed the crop to the pigs directly rather than harvesting it ourselves. The problem is the grain field is in the exact opposite corner of the farm as the pigs. So we set up an electric wire pig highway from one side of the farm to the other. This involved taking down their old pastures to get the step in posts, and about 1200' of wire. To make sure the pigs were properly motivated to move pastures, we only gave them some garden scraps for dinner. Then in the morning we opened up the pig run and coaxed the hungry pigs to follow us all the way to their new pasture by shaking the feed bucket at them. 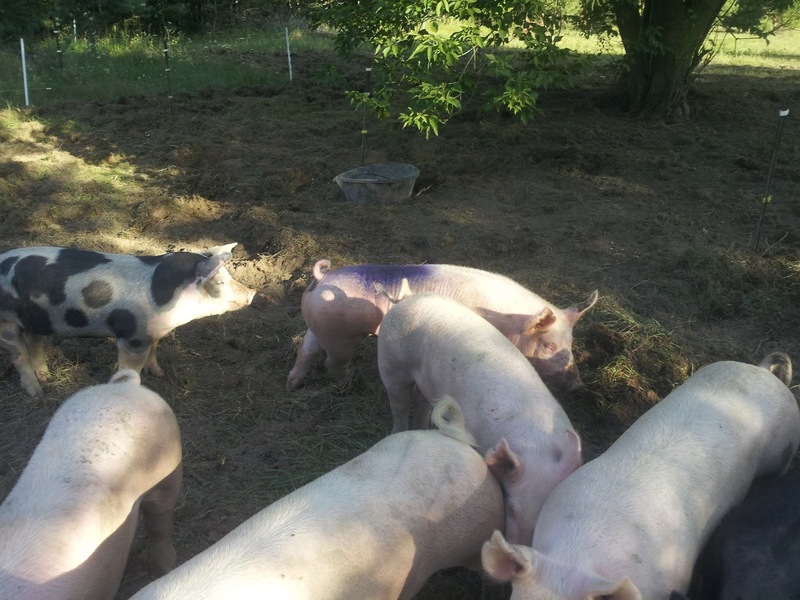 It didn't go perfectly, with the pigs able to turn around they occasionally backtracked, but eventually they found themselves in the new pasture and have since gone to work tearing up that field and eating the grains. Finally we have some good developments in the garden. This last week was one of our best shares yet, including a nice bag of green beans and lemon cucumbers, which are both favorites of ours. Next week it's looking like we will have our first peppers in shares! And we have found our first red cherry tomatoes and a few roma's turning red so should be coming in the next few weeks! 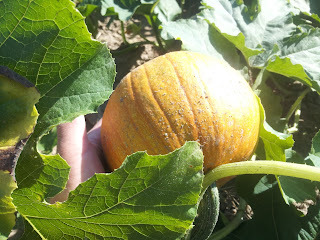 We even found a few pumpkins turning orange! This week the garden has yielded some surprises! Most surprising of all is after cutting all the arugula down a few weeks back, it has come back with surprising vigor, and the swiss chard is finally getting to picking point after being a deer snack this spring! So this week we bring you a bag of Arugula, a mixed bundle of Swiss Chard and Kale, Lemon Cucumber, Regular Cucumber, Summer Squash, Green Onions, Kohlrabi, Green Beans, and Genovese Basil! The recent cold weather we've been getting has slowed down the ripening of the tomatoes, but we may have peppers next week! These delicious small cucumbers are a favorite of Farmer Figgins. Eat these guys raw as a delicious snack! This week we have more Arugula for you! Add these to a salad or make them a meal in themselves. A favorite of ours is to have an Arugula sandwich, take your favorite bread, some goat cheese, and some thin apple slices, yum! A fun recipe we've tried with Arugula is to use it as a pizza topping. Make the pizza with a cheese topping and after it was out of the oven and done we topped it with arugula greens and shaved parmesan cheese, delicious! I recommend adding roast garlic to the pizza as well. Enjoy the slight melon-like taste of cucumbers in any sandwich. Cucumbers go well with dill, fish, and egg dishes. Try an Egg and Cucumber sandwich, or an old british tea party favorite Cucumber sandwiches. For these sandwiches, the spread can be yogurt, mayonnaise, butter, or cream cheese, try it with a sprig of dill or mint. Perfect for a hot day! This week our half shares get to try our lemon cucumbers! So far our summer squash seemed to have survived their Squash Vine Borer surgery, so there's more this week for us to enjoy! These beauties are growing well and fast, so a few got away from us and reached zucchini bread size. If you receive a large zucchini in your share, don't despair! These mammoths are great for stuffed squash or for making delicious zucchini bread. Farmer Figgins always uses large zucchini for zucchini bread, shredding up the zucchini and storing the extra in the freezer for bread later in the year. For an extra unhealthy treat, try some cream cheese icing on the zucchini bread! Kohlrabi may be a new vegetable for some of you, but we promise it's one you'll be glad to try! The word Kohlrabi is German for cabbage turnip, and it can be eaten raw or cooked. We usually eat them raw, just peel off the skin and slice them like an apple and sprinkle with a little salt and dip in some ranch and enjoy! They're also great raw on a salad, or roasted, or baked. Popular in Indian food, in dishes like Kohlrabi Curry. 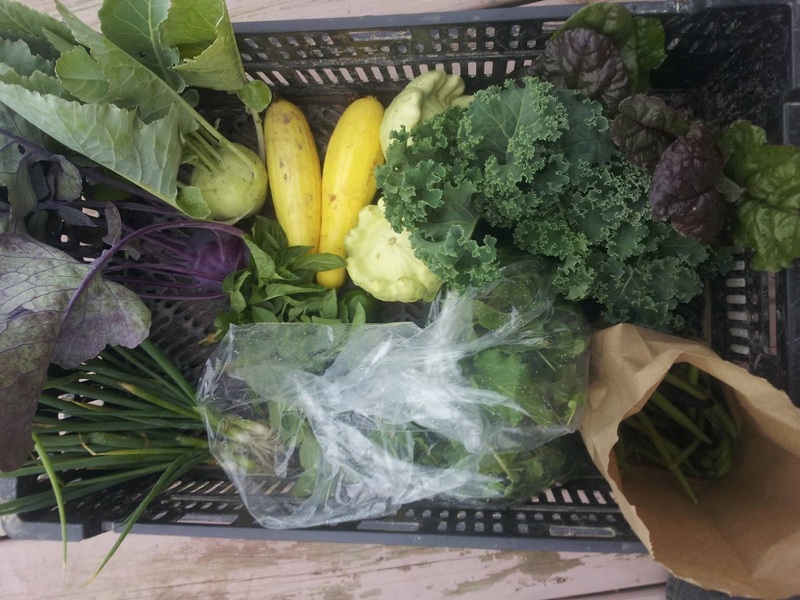 This week our shares get to enjoy kale and the first harvest of our swiss chard. Swiss chard is another extremely healthy green that helps regulate blood sugar and a great source of anti-oxidants. Try the swiss chard as a side dish, with this easy Savory Swiss Chard recipe. More green and purple green beans this week! We like eating them steamed with a little butter and salt, but you can also boil them, fry them, or use them in a stir fry or casserole. Check out the easy recipes below for some ideas!